Swissquote is the Swiss leader in online banking. How to different in the highly competitive field of Forex? Most brands communicate with more or less similar visuals. 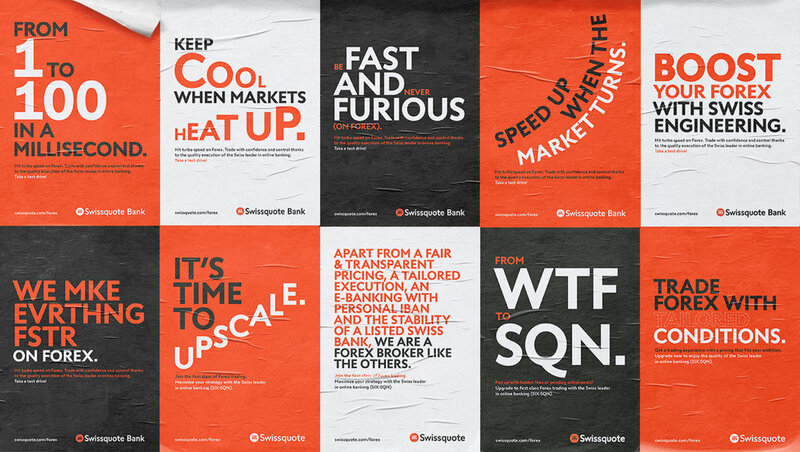 Instead of this, we focused on typographic games and a screaming sound design, comparing Forex to a raging racing car. For the prints, we focused on typographic games to illustrate the context and the energy of the Forex field. The campaign is declined in print, social medias, tv and online.